Brooke Lucas was interviewed by David Koch on Channel 7 in 2018. 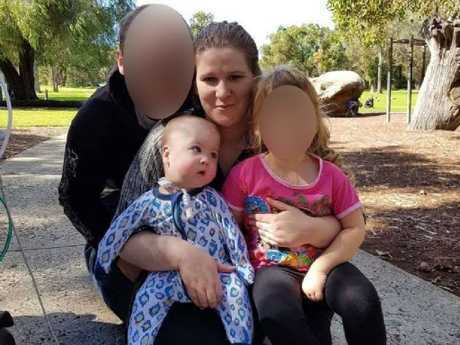 A Perth woman accused of poisoning her disabled baby appeared on television in an interview with Channel 7's David "Kochie" Koch about her son's medical condition just weeks earlier. 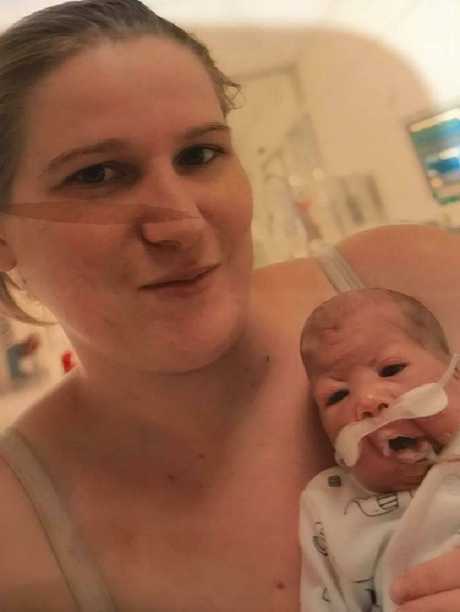 Brooke Lucas, 26, was charged on Friday with intending to kill or endanger her son, William, 1, by feeding him powerful chemical bleach through his feeding tube on December 29. News.com.au understands William was taken to hospital at the time for treatment. 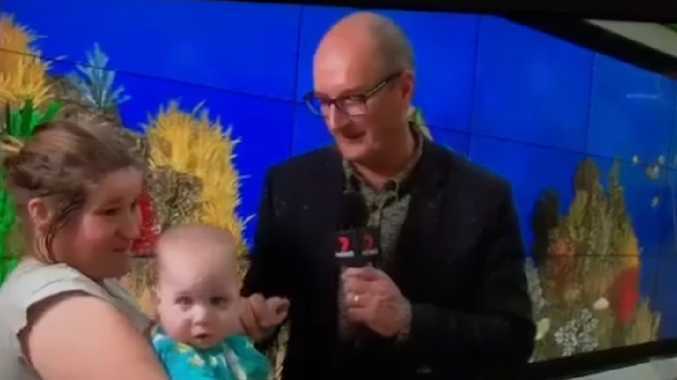 In October, Ms Lucas posted footage of her interview with Sunrise host Kochie at a telethon, in which she referred to her son as "our little miracle". "This child shouldn't be here," she said. "We were told day three he wouldn't make it." William was born 14 weeks premature in November 2017 and diagnosed with Pierre Robin sequence at 10 weeks old. 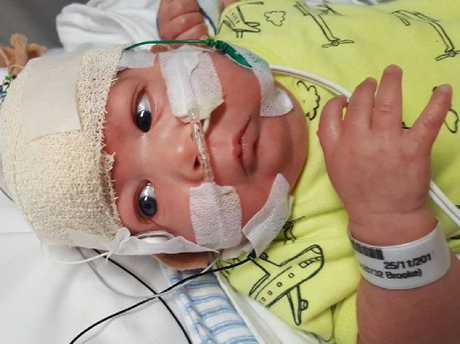 The syndrome is not a terminal illness and most babies outgrow the severe breathing problems as their airways grow, according to resources from the Royal Children's Hospital in Melbourne. "It means his chin was recessed when he was born causing his airway to be compromised," Ms Lucas said during the interview. "He also has tracheobronchial malacia which meant he required a tracheotomy." According to Ms Lucas, William had spent much of his life in hospital, but at the time of the interview he was about to be allowed home for the first time. "It's been a rough road but we're getting there, finally," she told Kochie. 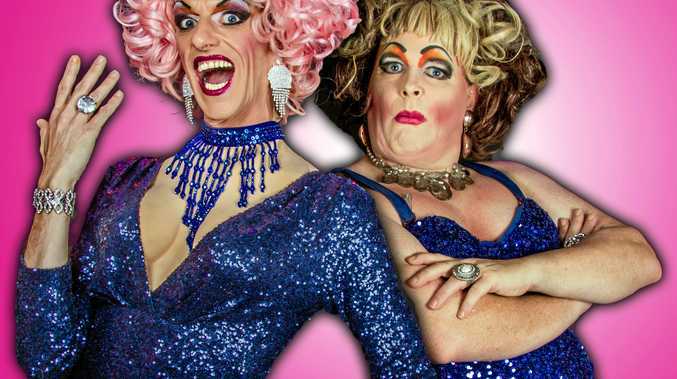 "Without family support and the hospital we don't know what would have happened." 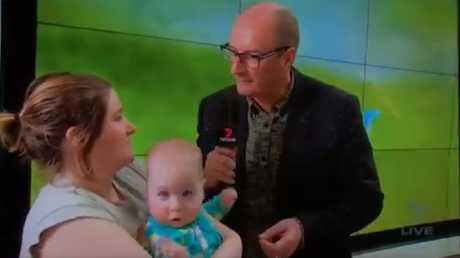 Brooke Lucas, with William, speaks to Kochie during a telethon on Channel 7 last month. 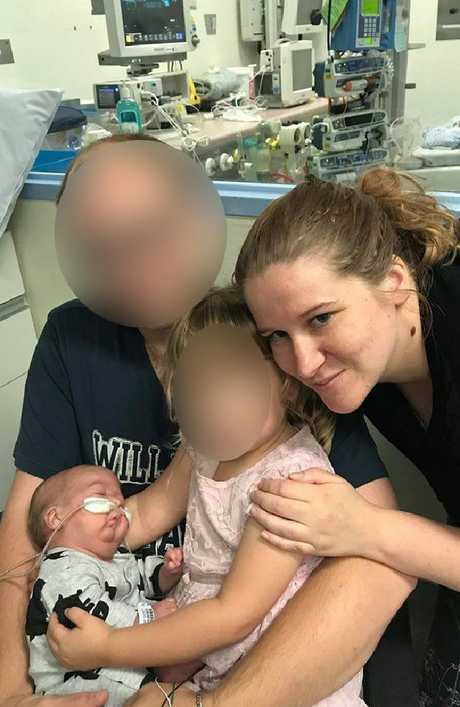 On Christmas Eve, Ms Lucas posted on Facebook that William had been discharged from Perth Children's Hospital, where he was receiving treatment for bronchitis. "It's a Christmas miracle William has been discharged from PCH and will be spending his first Christmas at home," she wrote. "I am in tears after he was so sick Friday and Saturday that he needed to be admitted in to hospital. "Doctors think he had bronchitis. But has bounced back better than ever." Brooke Lucas and her newborn son William in 2017. Police allege the next day, Ms Lucas poured the bleach into her son's feeding tube. On New Year's Eve, two days after the alleged poisoning, she posted photographs of William back in hospital. "So William and I will be spending our New Year's Eve at Perth Children's Hospital. Poor little man is not 100%," the caption read. Brooke Lucas with her partner and their two children. A crowd-funding page set up by Ms Lucas raised $2395 of its $10,000 goal in four months but has since been deleted. 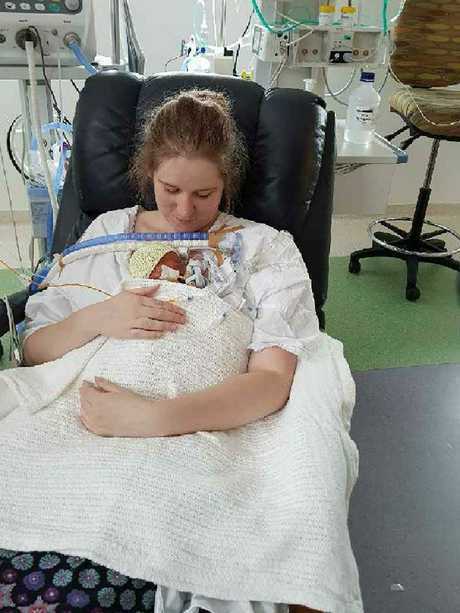 "Right now we are waiting for NDIS to approve us nursing at home as William needs 24 hours supervision and help with feeding, physio etc," the GoFundMe page read. "As we live an hour away from the hospital its costing us $100+ plus a week in fuel to visit on top of paying for parking and meals at the hospital its costing us a fortune plus Will needs special equipment so we are trying to fundraise money to help in the long run. "Any help will be greatly appreciated and hopefully we can finally get our little boy home for his 1st birthday." William is understood to be in a stable condition and was released into the care of a grandparent today. Ms Lucas appeared in Perth Magistrate's Court today and was visibly distressed and did not speak. She was remanded to the Frankland Centre, a high-security inpatient unit at Graylands Hospital, on a seven-day order following a mental health assessment. She is due back in court on January 30. 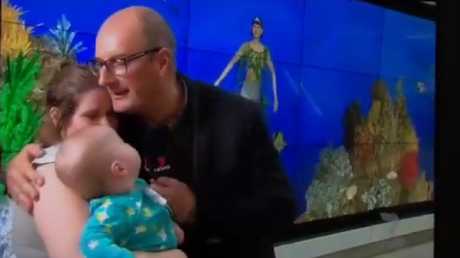 Kochie hugged the mother-of two after learning she was preparing to take her son home from hospital. Brooke Lucas’ son William was born with a chronic illness and requires a feeding tube. William has had a tough start to life.